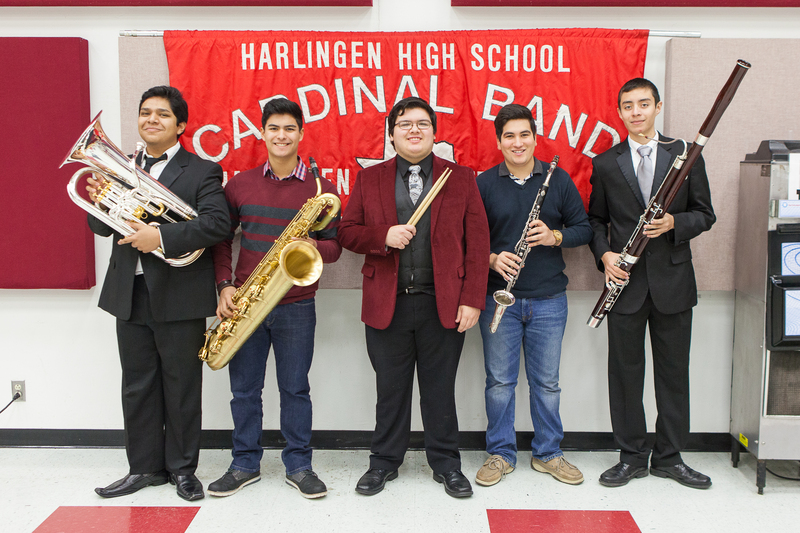 Members of Harlingen High School’s Big Red Cardinal Band and Harlingen High School South’s Mighty Hawk Band have advanced to the highest level of performance for a high school band member – the Texas Music Educators Association All-State Band. 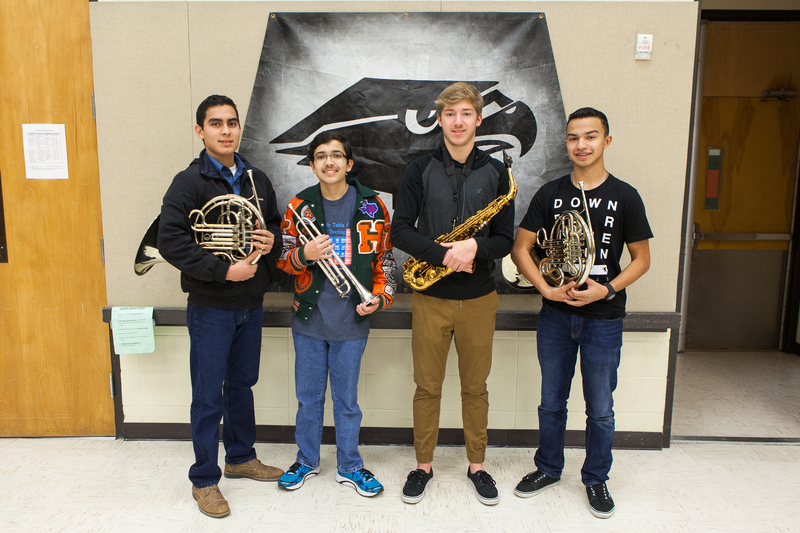 The following students were selected from the HHS band: Aaron Balboa – Alto Clarinet, 1st Chair; Noe Muñoz – Bassoon, 3rd Chair; Josue Ayala – Jazz Bari-Sax, 2nd Chair; Israel Yanez – Jazz Drums, 2nd Chair (two years all-state); and Joe Gonzalez – Euphonium (alternate). The following students were selected from the HHSS band: Cole Allex – Alto Sax, 2nd Chair; Milton Rodriguez -French Horn, 2nd Chair; Ryan Mowers – Jazz Trumpet, 6th Chair (two years all-state); and Miguel Teran – French Horn (alternate). Theses students will perform with the Texas All-State Band in San Antonio, Saturday, February 13, 2016 at the Henry B. Gonzalez Convention Center as part of the 2016 Texas Music Educators Association Clinic/Convention. During the convention, students will participate in three days of intense rehearsals directed by nationally recognized conductors, and they will perform before thousands of attendees to bring the event to a close. High school students selected to perform in the All-State concerts have competed through several levels of auditions beginning in the fall of 2015 to qualify at the state level. Over 1,600 students are selected through a process that begins with over 64,000 students from around the state vying for this honor to perform in one of 15 ensembles.